How are we going to teach the next generation about open source and Linux? More importantly, how can we get the right technology into classrooms to empower our educators to teach our children the open source way? The opportunities that open source presents to education and academics is growing each day. Opensource.com highlights individual tools like Scratch and TuxPaint that are starting to make an impact—but, what about an entire education distribution? How do we make it easier to get an entire toolset into the hands of school systems, teachers, and students? How can we really move the needle and present a revolutionary open source operating system designed for kids and education? Ubermix is a Linux distribution built by educators, for educators, and for students, “with an eye towards student and teacher empowerment.” That’s why the “desktop” looks like a mobile phone. And it comes pre-installed with tons of open source applications that are geared toward education and creativity. We caught up with the founder of Ubermix, Jim Klein, to find out more about this Linux-based operating system and how the project aims to create a turn-key installation process, reducing the complexity and deployment often associated with installing a Linux distro. We also wanted to hear some of the stories from the people already finding success with Ubermix. Takeaway sneak peek: You can make a difference for the next generation. Just tell someone you know in education about Ubermix. 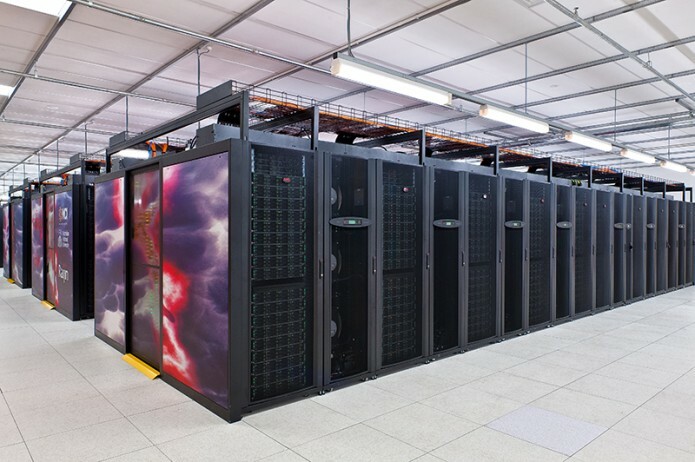 In a major boost to efforts to study and predict extreme weather, officials at the Australian National University (ANU) unveiled the Australia’s fastest supercomputer – Raijin. Powered by the open source Linux operating System ( Centos 6.4 ), Raijin is named after the Japanese god of thunder, lightning and storms, The Raijin supercomputer will be used for climate modeling, among other uses, and is housed at the National Computational Infrastructure (NCI) facility on the Australia National University campus. With a peak performance of 1.2 petaflops, Raijin features 57,472 Intel Sandy Bridge cores running at 2.6 Ghz, 160 TB of memory, 10 PB of storage, and a Mellanox FDR Infiniband interconnect that delivers 9 terabytes per second bandwidth. The filesystem performance alone has six times the thoughput of its predecessor vayu. Raijin cost a reported AU$50 million to build, and will cost an additional AU$12 million per year to run. South Africa’s educational authority has decided to only allow Microsoft software in schools from next year, a move that may shut out Free and Open Source Software (FOSS). The country’s Department of Basic Education (DBE) said that from January next year, only Microsoft Office 2010 and Office 2013 or newer versions could be used to implement the Computer Applications Technology and Information Technology curricula. While older versions of Microsoft Office run on open source emulation layers such as WINE, newer ones require the Windows proprietary operating system, which has to be licensed. Programming will be taught in Delphi, an Apple Computer and Borland developed object-oriented extension of Pascal, a language that first appeared in the mid eighties. Neither is commonly used today, but the DBE has nevertheless mandated that Delphi will completely replace the newer Java programming language for teaching in schools by November 2016. “This news comes as a reminder of Microsoft marketing clout. In spite of the numerous successes achieved by Linux and Open Source Software Microsoft manage to strike back considerable power. This news is especially galling as the UK government has only just overturned its decade long policy of mandating Microsoft products in British schools. The Linux Foundation, the nonprofit organization dedicated to accelerating the growth of Linux, today announced the keynote speakers and program for The Linux Foundation’s Automotive Linux Summit to be held Oct. 24-25, 2013, in Edinburgh, UK. Now in its third year, the Automotive Linux Summit is the premier event covering Linux and open source technologies for infotainment (IVI), driver assistance, connected cars and more. The summit brings together innovative minds from the automotive and open source communities, including systems engineers, Linux experts, R&D managers, business executives, licensing and compliance specialists and community developers. The Automotive Linux Summit will feature speakers from around the globe who are accelerating open source advancements in the auto industry. A Hacker Lounge will also showcase a car with a Tizen-based IVI system for developers to test code and try out new apps. Co-located with LinuxCon and CloudOpen Europe, combined the events attract the largest gathering of its kind in the region. “What to Look for In An Open Source Solution for IVI,” Adam Abramski, Product Manager, Tizen IVI, Intel Corp. & Brett Branch, Tizen Automotive Product Marketing Engineer, Intel Corp.
“The Mobile Conduit: Delivery of Advanced Automotive Services Through the Phone,” Jacek Serafinski, Senior Research Scientist, Co-Owner, Zylia Sp. z.o.o. “SmartDeviceLink: A Standard for Smartphone Apps Integration,” Yuriy Shvalik, Luxoft, supports development for Ford Motor Co.
To review the complete programs for Automotive Linux Summit, please visit: http://events.linuxfoundation.org/events/automotive-linux-summit-fall. 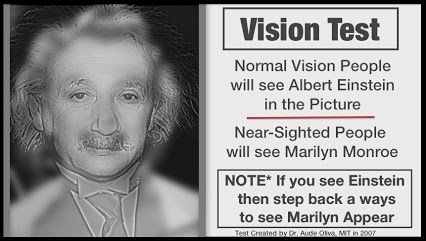 Do YOU see Monroe or Einstein? Check If You Need Glasses at Your Computer. Some people get used to seeing things in a certain way so that they ignore a progressive vision problem. Causing many to squint a lot, and end up with unnecessary eye strain at their computers. Do you see Albert Einstein while sitting a normal distance from your computer? Then you are seeing things as you should. Do you see Marilyn Monroe? 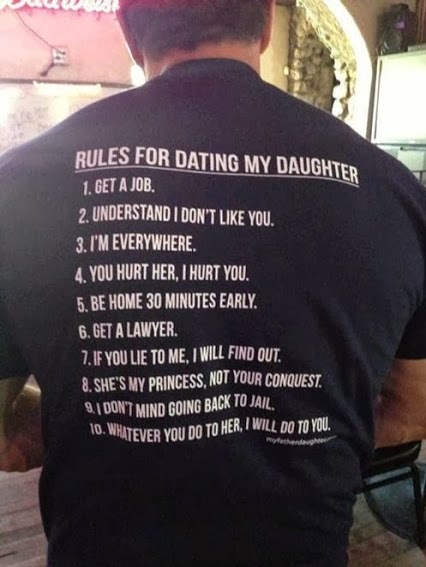 Then you should probably be wearing glasses or contacts. Linux continues to dominate data centers. IBM wants more of that action to take place on its hardware. The computer giant on Tuesday plans to pledge that it will spend $1 billion over four or five years on Linux and related open-source technologies for use on its Power line of server systems, which is based on the internally developed chip technology of the same name. IBM has long been one of the biggest backers of Linux. It made another celebrated $1 billion pledge in 2000 to support the technology as it was beginning to gain a foothold in businesses. Since then, Linux has become the mainstay operating system for many servers–particularly those used in computer rooms operated by big Web companies like Google. Most of those machines are x86 servers, which take their name from the underlying chip design sold by Intel and Advanced Micro DevicesAMD +0.26%. IBM, though it sells such machines, also adapted Linux for use on its mainframes and its Power servers. The latter historically used IBM’s variant of the Unix operating system. Power servers tend to be good at heavy-duty computing jobs, such as running large databases. But sales of hardware running Unix are contracting, where Linux-based machines are spreading. “We continue to take share in Unix, but it’s just not growing as fast as Linux,” says Brad McCredie, an IBM vice president of Power development who also holds the title of fellow. 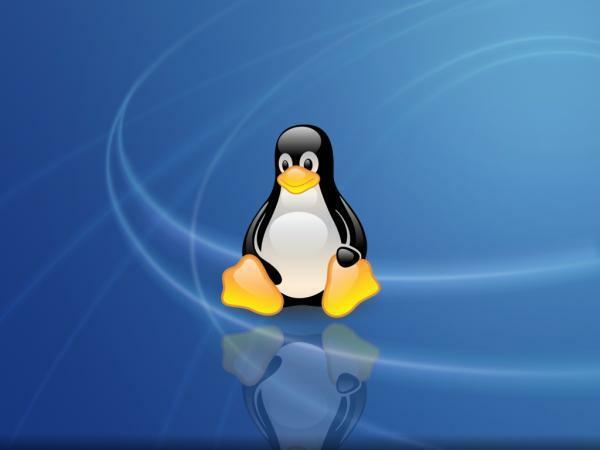 Linux helped popularize the open-source model, based on letting users and others view and modify the underlying instructions used to create a program. The software is often available in free versions, which is quite a draw for companies that buy servers by the thousands. Another attraction is that Linux has spawned a range of add-on programs that can generally be used on Power-based machines after an automatic step called recompiling, McCredie says. “Once you get to an open software stack there is innovation taking place that people do covet,” he says. Where will the $1 billion go? To a large extent, on facilities and personnel to help Power users move to Linux. One new center in Montpellier, France, will be set up for that purpose, McCredie says. France’s National Gendarmerie — a national law enforcement agency — is now running 37,000 desktop PCs with a custom version of the Linux operating system, and by summer of next year, the agency plans to move all 72,000 of its desktop machines to the open source OS. Linux is now the primary means of running computer servers inside the data centers that drive the web’s biggest services, from Google to Amazon to Facebook, but it has struggled to replace Microsoft Windows on the desktop. The news from the Gendarmerie could be a sign that this is changing. The agency claims the total cost of ownership of Linux and open source applications is about 40 percent less than proprietary software from Microsoft, according to an article published on the European Union’s Interoperability Solutions for Public Administrations website. To make the switch less abrupt, the Gendarmerie first moved to cross-platform open source applications such as OpenOffice, Firefox, and Thunderbird. That allowed employees to keep using Windows while they got used to the new applications. Only then did the agency move them onto a Linux OS running these same applications. The migration started in 2004, when the Gendarmerie was faced with providing all its users with access to its internal network. In order to save money, the agency switched from Microsoft Office to OpenOffice. Then the agency rolled out Firefox and Thunderbird in 2006. Finally, in 2008, it switched the first batch of 5,000 users to a Linux OS based on the Ubuntu distribution. This is one of the largest known government deployments of Linux on the desktop. Many governments, such as Brazil, have resolved to use more open source software. Some countries, like China and India, even have their own government-sponsored Linux distributions. But the actual adoption rate of Linux within government agencies is unclear. For example, in 2011 the UK government committed to use open source software wherever possible. According to the country’s Government Service Design Manual, civil servants are to “use open source software in preference to proprietary or closed source alternatives, in particular for operating systems, networking software, web servers, databases and programming languages.” But according to the BBC, the UK government was still spending the majority of its IT budget on proprietary software from companies like Microsoft and Oracle later that year. Part of the problem, according to the BBC, is that agencies are locked into existing proprietary applications.